Everything is making progress. 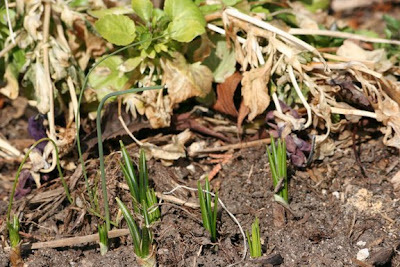 Just two weeks ago, these crocus and daffodils had just broken through the earth. And look at them now! Everything changes in a matter of days. It just shows us that change is the one constant in this universe. 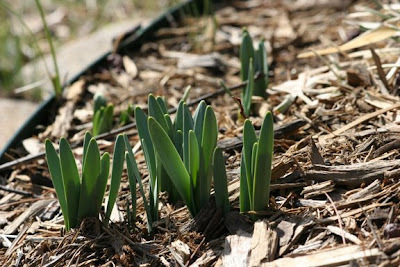 In just a few weeks these flowers will have bloomed and their cycle for this year will be over. 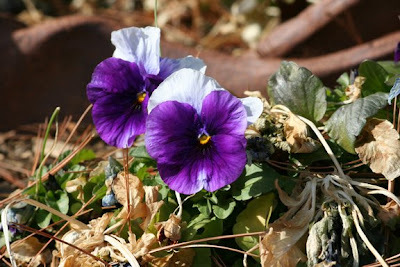 Even the pansies have bounced back. Winter had them down for a short time ... but even winter can't last.